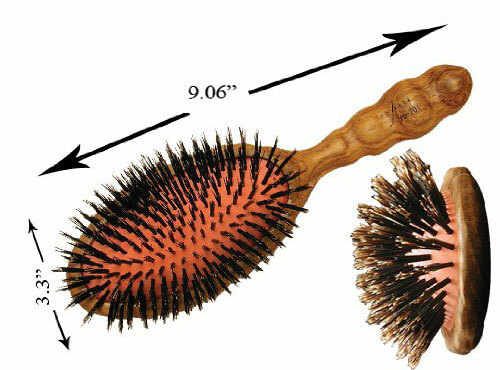 Formally the YS Park 701 Luster Wood Styling Brush, the 851 is now made with a higher quality wooden base. Fortunately, the price hasn't changed. 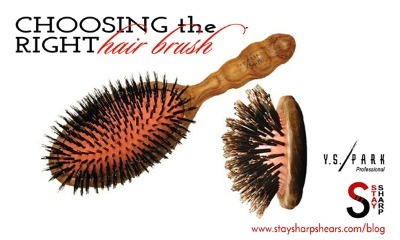 Dynamically smooth, the YS Park 851 Luster Wood Styling Brush is made with all natural boar bristles. With superb resistance against heat and moisture the rubber portion of brush, where the bristles are implanted, has the resistance needed for creating glistening straight hair. Specially sized to suit all needs; stronger always means better. With a super light hollowed wood body for a better airflow, the handle's comfort grip is engineered with air holes built-in to prevent clammy hands, providing the stylist incredible control over each stroke. Comfort tactile grip, dimpled for an organic feel, the YS Park 851 Luster Wood Styling Brush is undeniably the best of its kind.